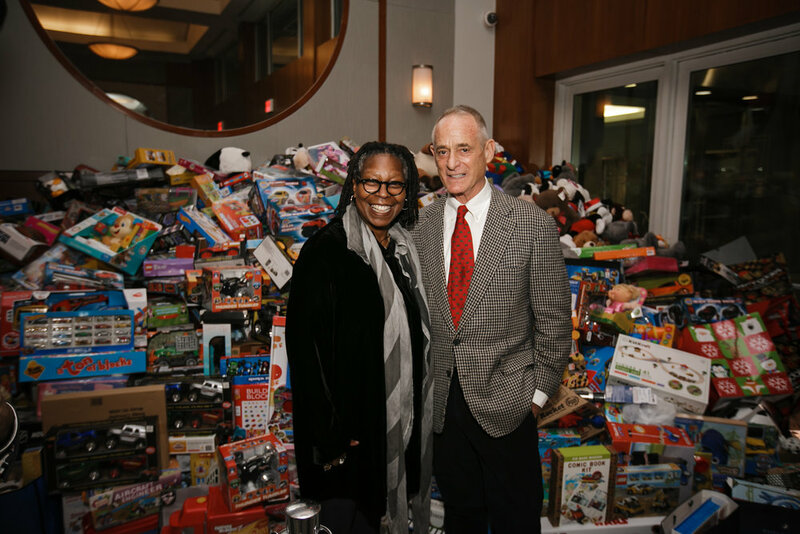 What can bring togeter 5,000 toys, 2,000 of New Yorks brightest LGBT members and the one and only Whoopi Goldberg? Celebrating its 32nd year the Services and Advocacy for GLBT Elders (SAGE) hosted it's annual Toy Drive alongside Corcoran real estate brokers Robby Browne & Chris Kann. Over 5,000 toys were collected, and will be distributed to the following charities: 9th Police Precinct Community Center, The Felix Organization, Ali Forney Center, Brooklyn ACE Integration Head Start, Camp Felix, God's Love We Deliver, Grace Baptist/Faith Mission, The Iris House, Good Shepard, Youth Represent, The Florida Project and UWS Jericho Project/Brick Church. While all proceeds and tickets sale go directly to SAGE. SPectators took note that Marc Jacobs brought so many toys, they needed help unloading them all from the car! For the fourth year in a row, Ketel One Vodka will serve as presenting liquor sponsor. Other sponsors included The Corcoran Group, Airbnb, Uber, HBO, Norwegian Airlines, Grey Advertising. The Toys Party has raised more than $3M for SAGE since 2003 , and has gathered tens of thousands of toys to be donated to NYC charities. Corcoran Group real estate stars Robby Browne and Chris Kann were the hosts of the evening.